This series was founded in 2004 by John Haldane and is under his general editorship. 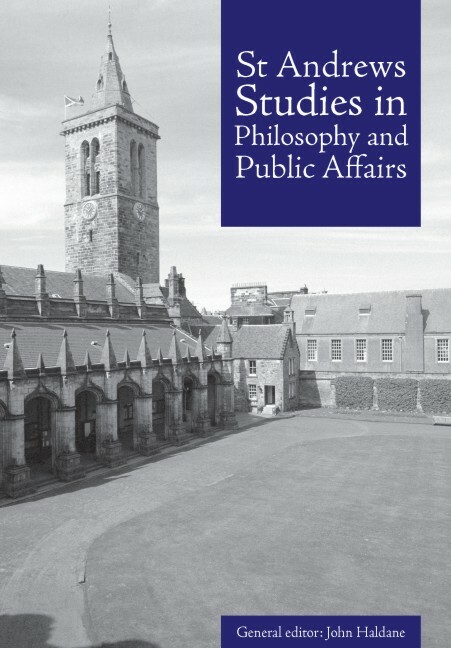 The series includes monographs, collections of essays and occasional anthologies of source material representing study in those areas of philosophy most relevant to topics of public importance, with the aim of advancing the contribution of philosophy in the discussion of these topics. — Hugh LaFollette, Cole Professor in Ethics, University of South Florida. Editor, Oxford Handbook of Practical Ethics, and Blackwell Guide to Ethical Theory. — Fred Miller Jr, Ex. Director, Social Philosophy and Policy Center, Bowling Green, Ohio. 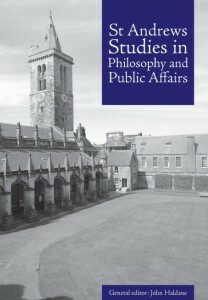 Associate Editor, Social Philosophy and Policy. — Nicholas Rescher, University Professor of Philosophy, University of Pittsburgh. Founding Editor American Philosophical Quarterly, History of Philosophy Quarterly, Public Affairs Quarterly.